4 decades! That is how long UBC Knitted Goods stall at RCH has been running. 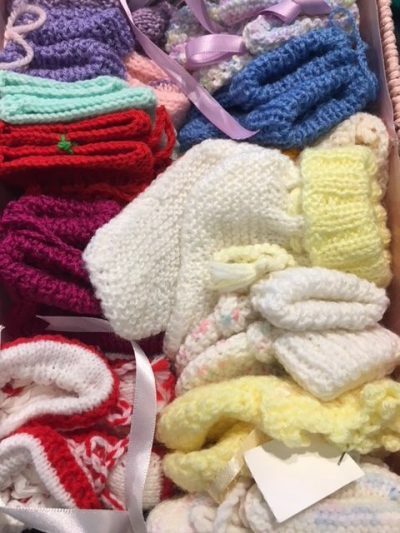 An idea of selling chocolates and toys to lift up spirits of sick kids and their loved ones evolved into lovingly knitted baby booties, jumpers, hats, mittens, blankets and even knitted dolls! Our members Helen Zampatti and Bev Burgess were there from the very start 40 years ago and Sheila Briggs joined the duo when she joined the Club 22 years ago. 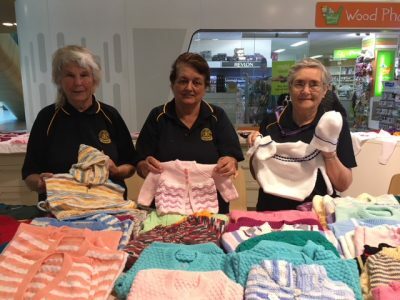 These 3 amazing women are dynamic in ensuring the pods are set up at the auxiliaries area at the Royal Children’s Hospital and together, they knitted almost all that we have to sell there. And sell they have! Since the last Good Friday Appeal, and that was only 3 months ago, these ladies have raised more than $2,000 thus far to go towards the next Good Friday Appeal. Each women specialise in their own knitting techniques. Helen knits what comes to mind at a particular moment, Bev likes to “play” with her knitting by adding beadings and touches of craft into it while Sheila machine knits. 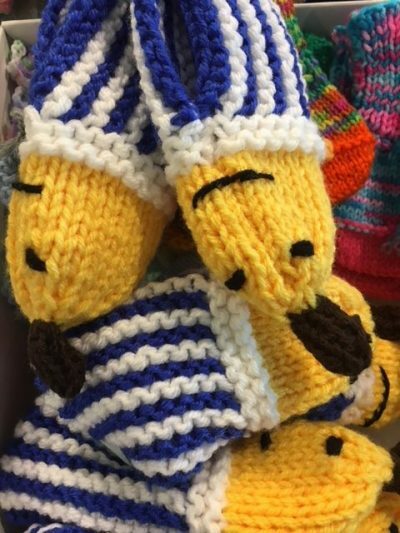 However they do it, whatever the outcome, all proceeds of knitted goods goes towards our mission of supporting children’s health. 40 years is a long time and UBC is immensely grateful to Helen, Bev and Sheila for their voluntary contribution. 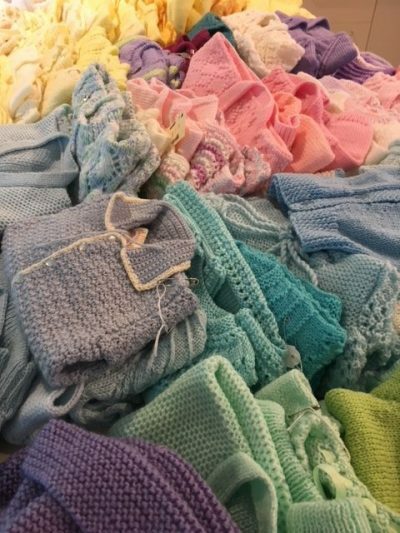 If anyone has yarn they can donate towards these ladies needs to knit, do contact the UBC office at 9335 6300.